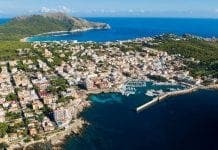 BRITISH tour operators have warned that ‘tourismaphobia’ will deter holidaymakers from visiting Mallorca this year. 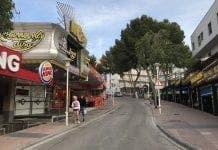 The Association of British Travel Agents (ABTA) reported a ‘turning point’ linked to the protests against mass tourism, which began last summer in Palma. According to ABTA’s annual report, over a quarter of consumers are planning a trip to a new country, and over a third plan to spend the summer holidays in a new resort or city. The report also states that ‘70% of people consulted believe that travel companies should ensure that their holidays help the local population and economy’. Some operators are already adopting environmental awareness concerns, with Thomas Cook and Virgin Holidays no longer selling excursions involving the use of animals. This includes visits to manhandle animals and swimming with dolphins. “With greater social awareness not only on environmental issues, but also on human rights and working conditions, tour operators and hoteliers are supporting this movement towards responsible tourism,” the report states. Previous articleCrazy bargains as Spain’s Renfe releases thousands of seats with up to 70% off – but you’ll have to be quick!